Since 1987. The original Removals by Rocket. Small foot-print vehicles means easier access to your property and lower cost to you! 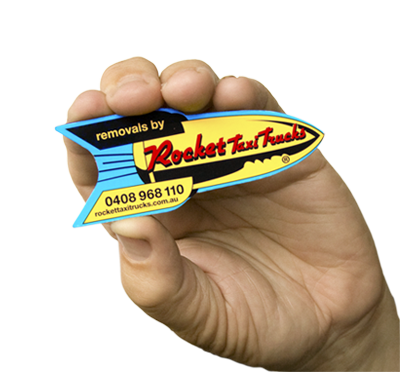 Ask for your FREE collectible Rocket Taxi Truck fridge magnet or Rocket Taxi Trucks T-Shirt! Find out what it's like to be moved by Rocket!